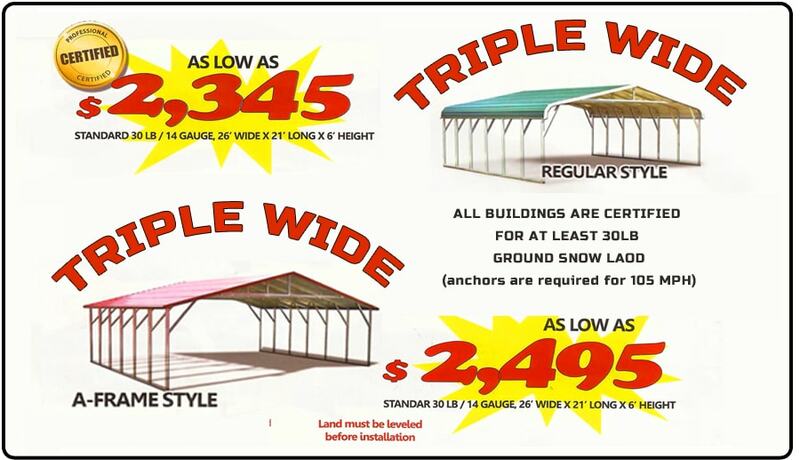 Searching for a building or carport wider than 24 feet? Ask us about our Triple wide buildings! 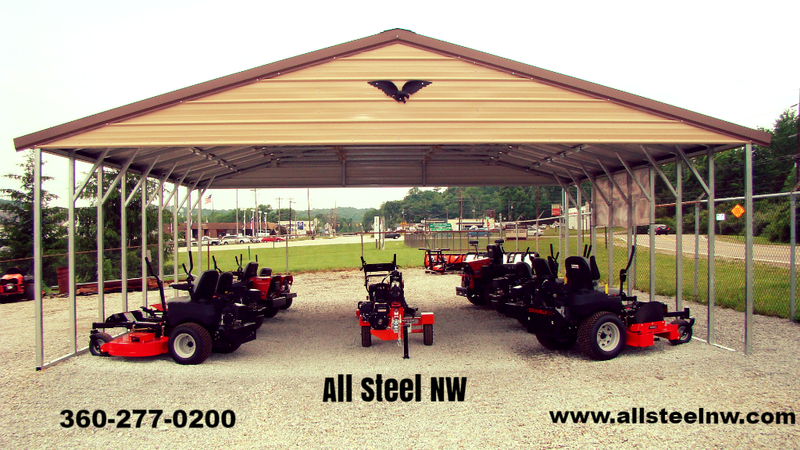 All Steel Northwest’s triple wide buildings are the perfect solution to cover multiple vehicles. Worried about strength? Our triple wide structures come with welded truss’ for strength, amazing quality steel and added bracing to make your building last. 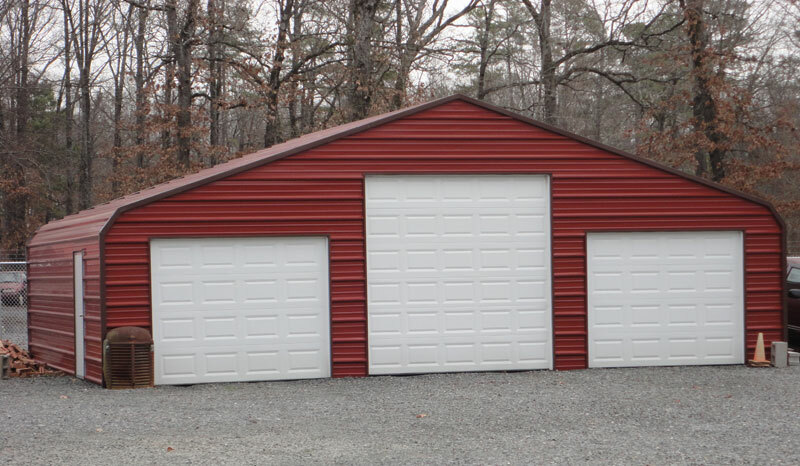 Our Triple Wide buildings range from 26′ wide to 30′ wide, you can fit multiple vehicles, enclose it to make a shop or even add an enclosed storage box. At All Steel Northwest, we offer a wide selection of colors to ensure your new metal building complements your residence. 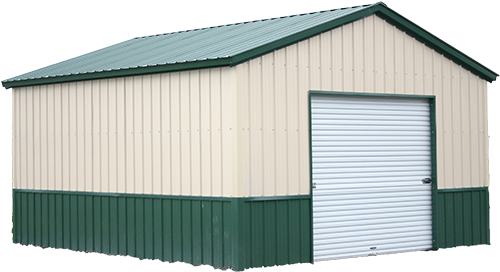 All Steel Northwest offers 8 standard colors for all their metal buildings as well as 4 custom colors. Let an All Steel Northwest sales person assist you when it comes to customizing your building for everything from contrasting trim, bay openings, roll down doors, side exit doors and more! Triple wide metal carports leave room for storage of other vehicles, outdoor living space out of the elements or just ease of access to load and unloading your RV. 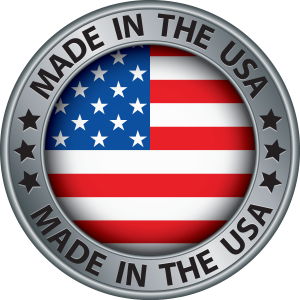 All Steel Northwest strong metal carports are Made in America! Available in 14 or 12 gauge steel, 12 colors to choose from. All prices include delivery and installation plus tax. Suitable for residential, commercial and agricultural uses. 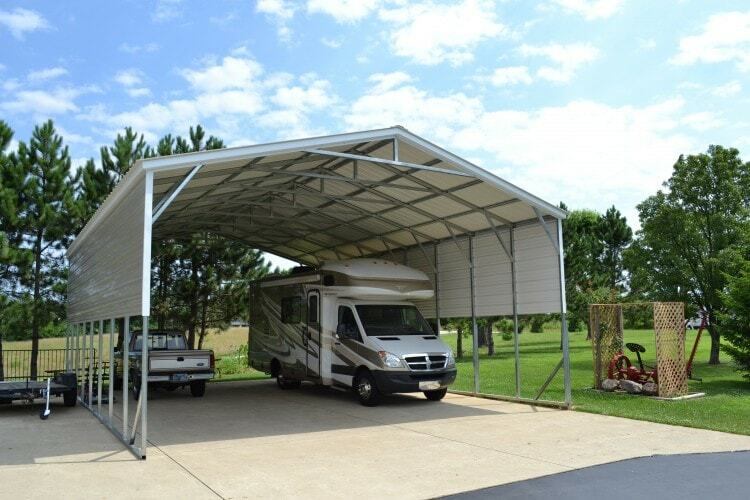 These carports are well suited for large RV’s as the extra width enables easy maneuverability into and out of the unit. Many owners also prefer to keep the slide-outs on their motor homes open when in storage and this can also easily be accomplished with these larger units.